a leading investor news and research portal for the renewable energy sector within Investorideas.com, presents a sector close-up on solar stocks with insight from solar expert J. Peter Lynch in his recent commentary, “Solar Stocks - Looking for a Bottom?” Solar stocks saw gains at the close of the market Tuesday with SunPower up 6.81% and Evergreen Solar Inc up 5.24%. SunPower Corporation (Market, News ) closed up on the day at 77.13 USD, up $4.92 (6.81%). First Solar, Inc. (Market, News) closed at $277.57 USD, up $10.67 (4.00%). Akeena Solar Inc. (NASDAQ:AKNS) closed at $4.61 USD, up $0.19 (4.30%). Evergreen Solar Inc (Market, News) ended at $9.24 USD, up 0.46 (5.24%). LDK Solar ADR (Market, News) finished at $34.99 USD, up $2.29 (7.00%). Clear Skies Solar, Inc. (OTCBB: CSKH) closed the market at $0.90. XsunX, Inc.: (OTCBB: XSNX) closed at $0.341 USD on volume of 339,000. Ascent Solar Technologies Inc closed up 6.56% and then lost some of the gains in after market trading. Arise Tech Corp (Market, News ) ended at $1.45 CAD, up (1.40%). The Ardour Solar Energy Index (Market, News) closed at 5,077.68, up 1.49 (0.03%). Ezra Green, Chief Executive Officer and Chairman of Clear Skies Solar (OTCBB:CSKH) said, " We are seeing increasing demand for installations of solar energy systems, as evidenced by our announcement of a contract with Mc Gowan Builders, Inc. (MBG) to install a solar energy system at the company’s new headquarters in East Rutherford, NJ." Featured Showcase Solar Company: Clear Skies Solar, Inc. (OTCBB: CSKH). Clear Skies Solar, Inc. (CSS), through its wholly owned subsidiary, provides full-service renewable energy solutions to commercial, industrial, and agricultural clients across the country. CSS was incorporated in 2003 and launched formal operations in 2005. During that time period, CSS developed its proprietary systems, obtained licenses and certifications, and acquired technologies that could maximize the impact of its construction expertise on the renewable energy sector. ROME, GA - Jul 29, 2008 - Former Pirelli Tire North America president and CEO Gaetano "Guy" Mannino, after a lifetime of association with the auto industry, is speaking out about electric car technologies and his recent business venture with ZAP (OTC BB:ZAAP.OB - News). Mannino's company, Verdek, has agreed to be the distributor for ZAP in the state of Georgia, where Mannino's business is headquartered. However, in an interview this week with www.CEONEWS.tv, Mannino talks about his plans for ZAP in the US and abroad. "I am working with ZAP to bring the products into Europe," Mannino told CEONEWS.tv. "There is potential for a branch in Italy. In Italy it is getting close to $10 a gallon. The size of the ZAP vehicle is perfect for that market. I think there is a big opportunity." Hear the complete interview at http://www.CEONEWS.tv. For more information about Verdek and Verdek-EV, please visit the tri-lingual (English, Spanish and Italian) web sites at www.Verdek.com and www.Verdek-EV.com. GT Solar traded as high as $17 on its first day of trading - up from its IPO price of $16.50 but then came off with market conditions . The new solar deal was off again on its second day of trading - closing at 12.59 USD on Friday . A lot of market analysts think it was a case of bad timing - a bad day to come public in the market . On July 24th GT Solar International, Inc. (NASDAQ: SOLR) announced their IPO of 30.3 million shares of its common stock priced at $16.50 per share. All of the shares are being sold by one selling stockholder, GT Solar Holdings, LLC. The selling stockholder has also granted the underwriters an option to purchase up to an additional 4,545,000 shares of common stock to cover over-allotments, if any. Credit Suisse Securities (USA) LLC and UBS Investment Bank acted as joint book-running managers for the offering, and Banc of America Securities LLC, Deutsche Bank Securities, Piper Jaffray and Thomas Weisel Partners LLC acted as co-managers. A copy of the prospectus relating to the offering may be obtained by contacting: Credit Suisse Securities (USA) LLC, Eleven Madison Avenue, New York, New York, 10010-3629 (800-221-1037) or UBS Securities LLC, 299 Park Avenue, New York, New York, 10171, Attn: Prospectus Department (888-827-7275, ext. 3884). A registration statement relating to the offering was filed with and declared effective on July 23, 2008 by the Securities and Exchange Commission. This press release shall not constitute an offer to sell or solicitation of an offer to buy, nor shall there be any sale of these securities in any state or jurisdiction in which such offer, solicitation, or sale would be unlawful prior to registration or qualification under the securities laws of any such state or jurisdiction. GT Solar International, Inc. is a leading global provider of specialized manufacturing equipment and services essential for the production of photovoltaic wafers, cells and modules and polysilicon. The company’s principal products are directional solidification systems and chemical vapor deposition reactors and related equipment. BMW has Mini fans charged up with news that they plan to sell the much talked about all-electric versions of the Mini car in the U.S., starting summer 2009. Mini’s USA Vice President, Jim McDowell, would not give all the specifics on the electric mini as to where, when and how many, addressing the previous “500” number rumored to be available in California, but did confirm they would be available for consumers next year. He did state,” "The world is moving in our direction. The overall market is down 10%, but small-car sales are up 11%. People are trading in Ford F-150s and Hummers for Minis." In other electric car news, General Motors announced that it will collaborate with the non-profit Electric Power Research Institute (EPRI) - more than 30 of the top electric utilities in the United States and Canada to accelerate the introduction of plug-in electric vehicles. I welcome ideas, suggestions and feedback as we travel together on the green highway. ZAP (OTCBB: ZAAP) has been a leader in advanced transportation technologies since 1994, delivering over 100,000 vehicles to consumers in more than 75 countries. At the forefront of fuel-efficient transportation with new technologies including energy efficient gas systems, electric, hybrid and other innovative power systems, ZAP has a joint venture called Detroit Electric to manufacture electric and hybrid vehicles with Youngman Automotive Group. Detroit Electric is developing a freeway capable electric vehicle called the ZAP Alias. ZAP is also developing a new generation of vehicles using lithium batteries. The Company recently announced a strategic partnership with Dubai-based Al Yousuf Group to expand its international vehicle distribution. ZAP also makes an innovative, new portable energy technology that manages power for mobile electronics from cell phones to laptops. * ZAP is a featured company and compensates Investorideas.com for advertising. San Jose, CALIF - General Motors announced today that it will collaborate with the nonprofit Electric Power Research Institute (EPRI) - more than 30 of the top electric utilities in the United States and Canada -- to accelerate the introduction of plug-in electric vehicles. General Motors will work with EPRI and the utility companies on everything from codes and standards to grid capability to ensure that when the Volt goes to market, the infrastructure is ready - and customers can realize the full potential of these revolutionary vehicles as soon as they leave the showroom. Details of the alliance, which is by far the largest and most-comprehensive between an automaker and the electric utility industry, were announced today in San Jose during the Plug-In 2008 Conference. Among the many things the coalition will address include ensuring safe and convenient vehicle charging, raising the public awareness and understanding of plug-in electric vehicles, and working with public policy leaders to enable a transition from petroleum to electricity as a fuel source. "Together with EPRI and the utility companies, we can transform automotive transportation as we know it, and get our nation and the world past oil dependence - and heading toward a future that is electric," said Jon Lauckner, GM VP of Global Program Management. "This group is taking significant steps toward making electric vehicles a reality and in helping our customers enjoy the tremendous benefits these vehicles will provide." Using electricity to power vehicles such as the Volt and the Vue Plug-in is attractive to GM because it can simultaneously reduce the industry's dependence on petroleum and vehicle greenhouse gas emissions. Consumers will also see a tremendous benefit as the cost per equivalent mile of a vehicle powered by electricity is roughly one-fifth of the cost per mile when powered by gasoline. The coalition of utility companies plays a critical role in developing universal technical standards that will facilitate ease of use and commercial feasibility of electric vehicles. "EPRI is pleased to collaborate with GM and utility leaders in electric transportation to work together in advancing plug-in hybrid electric vehicle transportation," said Arshad Mansoor, Vice President of EPRI's Power Delivery & Utilization sector. "This collaboration is critical in the development of standards that will lead to the widespread use of electricity as a transportation fuel." Last month, GM, along with EPRI, received a conditional award from the U.S. Department of Energy to create a plug-in demo program using the Saturn Vue. In June, GM's Board of Directors committed to production of the Chevrolet Volt extended-range electric vehicle -- due in showrooms in late 2010. And, at the 2008 North American International Auto Show, GM announced its intention to produce a plug-in hybrid electric version of the Saturn Vue. Given the huge potential vehicles such as the Chevrolet Volt and Saturn Vue plug-in hybrid offers for fuel economy improvement, these programs have emerged as top priorities at GM. "This coalition shares a vision of bringing plug in vehicles to market so we can accelerate the use of electricity as a substitute for gasoline," said Lauckner. "We are focused on creating affordable, highly desired vehicles that will take advantage of the grid - and providing accessible, reliable, convenient low cost electricity to plug-in customers. Collectively, we can realize all of the benefits of the plug-in revolution." GM strives to ensure that all of the information contained in a press release is accurate at the time it is issued. However, changes in materials, equipment and specifications, prices, availability, etc do occur over time. For the most up-to-date information on currently available models, please visit GM.com/shop. Well-known financial columnist Michael Brush continues his renewable energy audio series for Renewableenergystocks.com with a recent interview with the head of BP’s Alternative Energy Division, Vivian Cox. When BP chief Tony Hayward commented earlier this year that he’s trying to figure out how BP shareholders can get more credit for the company’s alternative energy efforts, speculation arose that the company was planning to sell its green businesses. In this interview, the head of BP’s Alternative Energy Division, Vivian Cox, clarifies the company’s commitment to green energy development. SEATTLE, WA, July 22, 2008 - Mantra Venture Group Ltd. (OTCBB: MVTG) is pleased to announce that it has added two valuable members to its Scientific Advisory Board: Mr. Norman Chow, President of Kemetco Research Inc., a private sector integrated science, technology and innovation company, and Mr. Joey Jung, a noted Senior Research Scientist, and the inventor of numerous patents and patent applications in the field of battery, fuel cell and electro-winning technologies. They join the initial two members of Mantra's Scientific Advisory Board, Dr. Ben Anthony, Senior Research Scientist at the National Research Council in Ottawa, Canada and Colin Oloman, Professor Emeritus at the University of British Columbia and a member of the University's Clean Energy Research Center. Norman Chow earned a Bachelor of Applied Science Degree and a Masters of Applied Science Degree from the University of British Columbia. Continuing his education, he then became a Registered Professional Engineer (P. Eng.) in British Columbia. Mr. Chow has over 10 years of technology development experience and 6 years of contract research experience. Mr. Chow also co-invented a patented electrochemical metal cleaning process that is used worldwide by multi-national companies. He has a background in business management, international sales, project management and manufacturing. Mr. Chow has been the winner of several prestigious awards that recognize his skills in engineering and business. In 1996, his patented technology, The DynaPower Metal Cleaning System won the Financial Post Gold Award for being the Top Environmental Technology in Canada, and then in 2004 he was named the winner of the Business in Vancouver Top Forty under 40 award. Mr. Joey Jung earned his Masters of Applied Science Degree from the University of British Columbia in Chemical Engineering and subsequently became a Registered Professional Engineer (P. Eng.) in British Columbia. He has had a successful career in electrochemical engineering and battery research, formerly serving as Vice President and Chief Technology Officer of a publicly traded battery development company. Larry Kristof, Mantra's C.E.O., commented, "Both Norman and Joey will be valuable additions to the Scientific Advisory Board and will complement Dr. Ben Anthony and Professor Colin Oloman. They are educated, experienced and practical: a rare combination. Another key attribute that they bring to Mantra is the fact that they have direct experience with the commercialization of innovation." According to the report, the top three venture capital deals in the second quarter all belonged to solar energy companies. SAN FRANCISCO and NEW YORK, July 19 2008-- In the secondquarter of 2008, quarterly venture capital investment in U.S. companiesslipped below the $7 billion mark for the first time in 18 months. According to the Quarterly U.S. Venture Capital Report released today byDow Jones VentureSource (http://www.venturecapital.dowjones.com), investment fell12% in the second quarter compared to the same period last year with $6.64billion put into 602 deals, the lowest quarterly deal count since 2005. The$7.58 billion invested in second quarter of 2007 was the second-highestquarterly totals recorded since the end of the dot-com boom in 2001. "While the U.S. investment total is down compared to last year'simpressive second quarter, we still saw steady deal activity and investmentin the first half of the year, which is encouraging," said Jessica Canning,Director of Global Research for Dow Jones VentureSource. "Venturecapitalists commonly take the long-view when it comes to investing. WhileIPOs and acquisitions may be rare now, VCs aren't concerned about that.They're focusing on what's next -- and that's reflected in the healthyearly stage investment we're seeing in areas like renewable energy,information services and business support services." According to the report, the information technology (IT) industry sawdeal flow drop 27% from 390 deals in the second quarter last year to 286 inthe most recent quarter -- the lowest deal count since the first quarter of1997. Similarly, investments were down 26% from nearly $3.50 billion to$2.60 billion, the lowest quarterly investment total since 2003. Theinformation services sector, which includes the majority of today's "Web2.0" companies, was the only area within IT to see positive gains with $688million invested in 80 deals, a 20% increase over the $572 million investedin 94 deals during the same period last year. Health care companies also fared poorly in the second quarter with theindustry only seeing 149 deals completed and $1.98 billion invested. Thatis 22% less than the $2.53 billion that was invested in 181 health caredeals in the second quarter of 2007. "The health care industry is the most concerning at the moment, asinvestment is down 31% compared to the first six months of last year anddeal flow is at its lowest level in three years," said Ms. Canning. "Considering the amount of time and capital it takes VCs to build asuccessful life science company, there may be a hesitation to continueinvesting in these companies given our current IPO market conditions." The data showed that the majority of the health care industry'sinvestment decline in the second quarter was contained in the medicaldevices sector, which saw just 60 deals completed and $798 millioninvested, a 25% drop-off from the $1.06 billion invested in 72 deals duringthe same time last year. energy investments as the sector saw $650 million put into 26 deals, records onboth accounts. "The movement of venture dollars from the traditional areas ofinformation technology and health care toward burgeoning sectors likerenewable energy, power management, and agriculture -- or 'cleantechnology' areas -- proves that venture capitalists are making good ontheir promise to tap opportunities in the massive energy market," said Ms.Canning. According to the report, the top three venture capital deals in the second quarter all belonged to solar energy companies. Taking the top spotwas SunEdison of Beltsville, Maryland, which raised $131 million (as wellas an additional $30 million in separate debt financing) in its secondround. eSolar of Pasadena, Calif., garnered $130 million and BrightSourceEnergy of Oakland raised $115 million. Compared to the second quarter of 2007, the smaller business andfinancial services (up 6% to $771 million) and industrial goods andmaterials industries (up 14% to $150 million) both posted modest gainswhile the consumer goods industry saw investment drop 24% to $121 million. The quarterly report also confirmed that later-stage deals continue toattract the lion's share of venture capital with $3.48 billion, or roughly54% of the quarter's investment total, put into 225 rounds. This pushed themedian deal size of a later-stage round to a record $12 million in thefirst six months of 2008. Early stage deal-making did not take a back seat, however. In fact, thenumber of first rounds actually ticked up from 200 rounds completed in thefirst quarter of the year to 207 in the most recent quarter while thelater-stage deal count saw a corresponding dip. "The most encouraging part of this quarter's report is that early stage investing is holding relatively steady thus far in 2008," added Ms.Canning. "It may be harder for entrepreneurial companies to raise venturecapital these days but it's by no means impossible. Continued early stagedeal flow is a good sign that the venture industry is prepared to weatherthe economic downturn and will continue to back the next wave of disruptivetechnologies." According to the data, the median deal size of a first round was $5million in the first half of 2008, an annual figure that has remainedunchanged since 2004. The overall median size of a venture capital deal in the U.S. --including all stages of development -- climbed to $7.5 million in the firsthalf of 2008, the highest total on record. -- The San Francisco Bay Area saw a 9% decline in overall ventureinvestment with $2.17 billion invested in 193 deals as IT investment wasoff nearly 21%. -- Despite seeing investment slip 2% to $868 million in 67 deals,Southern California remained the second most popular region for ventureinvestment, beating out New England, which saw investment drop nearly 23%to $714 million in 76 deals. -- The New York Metro region attracted $350 million in 42 completeddeals, 16% less than the $415 million invested in the second quarter lastyear. -- The Potomac region was one of the two major regions to see a capitalincrease as investment ticked up 11% to $268 million in 19 deals. -- Investment in the Washington State climbed 4% to $275 millioninvested in 25 deals. -- Capital investment in the Research Triangle region dropped 4% to$118 million with 10 deals closed in the quarter. -- Texas saw investment drop 65% to a paltry $90 million invested in 13deals, the region's lowest quarterly investment total in at least sixyears. For more information about Dow Jones VentureSource or to arrange apersonal demonstration, visit http://www.venturecapital.dowjones.com or call866-291-1800. The investment figures included in this release are based on aggregatefindings of Dow Jones proprietary U.S. research and are contained inVentureSource. This data was collected by surveying professional venturecapital firms, through in-depth interviews with company CEOs and CFOs, andfrom secondary sources. These venture capital statistics are for equityinvestments into early stage, innovative companies and do not includecompanies receiving funding solely from corporate, individual, and/orgovernment investors. No statement herein is to be construed as arecommendation to buy or sell securities or to provide investment advice. Dow Jones & Company (http://www.dowjones.com) is a subsidiary of NewsCorporation (NYSE: NWS, NWS.A; ASX: NWS, NWSLV; http://www.newscorp.com). DowJones is a leading provider of global business news and informationservices. Its Consumer Media Group publishes The Wall Street Journal,Barron's, MarketWatch and the Far Eastern Economic Review. Its EnterpriseMedia Group includes Dow Jones Newswires, Factiva, Dow Jones ClientSolutions, Dow Jones Indexes and Dow Jones Financial Information Services.Its Local Media Group operates community-based information franchises. DowJones owns 50% of SmartMoney and 33% of Stoxx Ltd. and provides newscontent radio stations in the U.S. Well-known financial columnist Michael Brush continues his renewable energy audio series for Renewableenergystocks.com with a recent interview with Dan Reicher, the Director for Climate Change and Energy Initiatives at Google.org, discussing Google’s investment in renewable energy and their vision of creating a green future. Mr. Reicher comments on two key initiatives; renewable electricity and plug-in vehicles as part of their vision to get to a day (sooner vs. later) when millions of vehicles are plugging into a greener grid. http://www.renewableenergystocks.com/ is one of several green investor portals within Investorideas.com and provides investors with stock news, exclusive articles and financial columnists, audio interviews, investor conferences and a directory of stocks within the renewable energy sector. Wind is looking like one the great opportunities for this year. If you follow Jim Cramer at all you may have heard him declare this to be the year of wind. And just this past week that well-known oilman T. Boone Pickens, who is building an enormous 4,000 Megawatt wind farm in Pampa Texas, declared a major PR campaign for wind. The “Pickens Plan” (www.pickensplan.com) calls for rapid ramping up of wind power and advocates the use of natural gas vehicles. Pickens views wind as part of a solution to our rapidly increasing expenditure on foreign oil. Currently $700 Billion is going offshore each year to pay for imported oil. Wind energy according to the Department of Energy, has the potential to deliver 1.5 times our current national consumption. And that would come from just 6% of US land. Most of the strong potential is in a corridor from West Texas all the way to North Dakota. If you’ve wanted to invest in renewable energy, wind could be the right play for you, with growing public awareness creating demand and political pressure. But, what kind of plays are out there? A direct play might be a company like Vestas Wind Systems (VWDRY.PK), a Danish company that manufactures wind systems. They have 35,000 turbines installed worldwide and claim a 23% market share making them the world leader in the supply of wind energy solutions. According to their own life-cycle analysis, the production from one of its 3-Megawatt turbines totally offsets the energy consumed by its production in under 7 months. So it’s a great green story and there’s nothing like investing with the market leader. However, it trades mainly in Denmark. If you want to buy it in the USA, the over-the-counter listing is quite thinly traded. A number of the companies involved in supplying components are industrials with broader businesses. In several cases, the wind energy divisions are far outpacing the parent company for growth. One such example is Trinity (TRN) who is known as a manufacturer of railcars. They also have a division that makes wind towers, the structures that hold up the turbine and blades. That business is clearly taking off. For their last quarter, they reported 81 cents per share of earnings which beat the consensus by 8 cents. The stock marched quickly from 32 to over 40, but has since come back down with the rest of the market and due in part to another railcar maker, Greenbrier Companies Inc. (GBX), who warned of poor railcar sales and rising material costs. Trinity’s wind energy equipment business looks strong with a 42% increase in revenue from its last quarter ending March 31. It’s also showing a backlog of $1.6 billion in orders. On the other hand, if you extrapolate from Greenbrier, the railcar business could come under pressure. Is the broader industry strength in rails enough to carry it through? Or, will high steel and raw costs plus customer problems leading to reduced orders weigh it down? Either way, over the long term, its wind energy structures business is increasing. Currently its $390 million is 12% of the total company revenues, and 10% of profits. The company projects $800 million revenues for the wind business in five years. But even this may be very conservative if the Pickens plan has any influence on the growth of wind energy as a whole. Another intriguing wind play is AeroVironment, Inc. (AVAV) who are known for their portfolio of small unmanned aircraft systems (UAS) that it supplies primarily to organizations within the United States Department of Defense (DoD). But why I really like it is what the company calls “architectural wind”. They manufacture attractive wind turbines designed to perch on the edge of a roof and complement a building's architecture. This could be a new direction for wind energy though it is early days for this product line - there are only 9 installations in place as of yet. AeroVironment is a strong looking company as its main business should continue to thrive with ongoing military demand. As a wind investment it might be more speculative since there’s little real information to go on at this stage, but it sure sounds like a business that could find traction in a world that increasingly values green building. While the Pickens campaign is undoubtedly raising awareness of wind energy and its potential, it might be prudent to avoid being drawn into the hype too quickly. Careful research and timing of your entry are essential, as ever. Paulo Nery is an independent columnist for Green Investor at Investorideas.com .Paulo J. Nery writes about green business, green investing and green lifestyle. www.InvestorIdeas.com/About/Disclaimer.asp. InvestorIdeas is not affiliated or compensated by the companies mentioned in this article. The Renaissance Green IPO Index captures the performance of newly public companies whose products and services offer solutions to environmental problems. Green enterprises, such as solar companies and biofuel producers, frequently manifest themselves first through the IPO market, enabling the Renaissance Green IPO Index, a subset of the Renaissance IPO Index®, to capture the earliest performance of these new green business ideas. Green sectors of the Index include alternative energy, recycling, conservation, clean transport, energy efficiency, and green-enabling technologies. In his ads when he talks about the biggest transfer of wealth we have ever seen - it does not just mean industry and business benefit - individuals can too. Think about the money back in your pocket if you are driving a hybrid, natural gas car or electric car. A lot of people are spending $400- $500 a month in gas- cut that in half or down to 1/4 cost or no cost if you have an electric car. With BMW bringing out an electric mini - how much better can it get for drivers? And then think of the cost of goods being reduced if all the transports were converted to natural gas? If we all had an extra $200- $1000 in our pocket - that is money back into an economy or savings or mortgage. So we should change our thoughts about how we look at the current oil prices and embrace the fact that it is forcing change and it we are smart and look ahead not get paralyzed in the moment - we all win financially and the environment gets the best win of all. When we get the chance to do the right thing that makes us feel good and we win financially- that is as good as it gets! It's a significant statement and we all need to take hold of what he is saying as a lifelong respected oil man. He is pushing wind and natural gas and new technology in alternative energy to deal with rising oil prices and our dependence on foreign oil. America is blessed with the world's greatest wind power corridor and abundant reserves of clean natural gas. The Pickens Plan will utilize these tremendous resources to build a bridge to the future — a blueprint to reduce foreign oil dependence by harnessing domestic energy alternatives and buying time for us to develop even greater new technologies. The Plan calls for building new wind generation facilities that will produce 20% of our nation's electricity and allow us to use natural gas as a transportation fuel. The combination of these domestic energies can replace more than one-third of our foreign oil imports. And we can do it all in 10 years. STAMFORD, Conn- July 9 2008 --With a goal of investing $6 billion in renewable energy by 2010, GE Energy Financial Services surpassed the $4 billion mark today by investing in New York State’s three newest wind farms. The unit of GE (NYSE: GE ) will invest a total of $100 million in the three wind farms, whose construction began last month. GE Energy Financial Services closed more than $2 billion of renewable energy transactions last year, and by 2010 expects they will comprise 20-25 percent of its overall energy and water portfolio, up from about 10 percent in 2006. Including the three new farms, GE Energy Financial Services has invested or committed to invest equity worldwide in 76 wind farms, with a total capacity of more than 4,000 megawatts. When the projects are completed during the fourth quarter of this year, GE Energy Financial Services will invest equity as the non-managing member of the three New York State farms and Noble Environmental Power, a leading wind energy developer based in Essex, Connecticut, will invest as the managing member. With this new investment, GE and Noble will have co-invested in more than 80 percent of New York State’s wind capacity. In addition to remaining a significant equity investor, Noble will construct, operate and manage the facilities, located in the predominantly dairy producing farmland of northern and western New York. The portfolio addition is the second in which GE Energy Financial Services has partnered with Noble. In June 2007, GE Energy Financial Services invested in the Noble Bliss, Clinton, and Ellenburg Windparks, also in New York State. Workers are laying foundations and installing turbines at the new wind farms, adjacent to the three wind farms in which GE Energy Financial Services invested last year. Two are located in northern New York, about 15 miles from the Canadian border and the other is in western New York. When the three begin commercial operation, they will increase the wind producing capacity of New York State by 47 percent. Using 1.5-megawatt GE wind turbines, the three wind farms will generate a combined 330 megawatts of energy—enough to power more than 110,000 average New York homes. In total, the farms will avoid 385,000 tons of greenhouse gases per year—equivalent to taking 64,000 cars off the road. Along with helping GE meet its renewable energy investment target, this new capital for New York wind farms helps the state meet its Renewable Portfolio Standard. That standard requires that 25 percent of the electricity consumed by New Yorkers come from renewable energy by 2013 and is expected to reduce emissions of carbon dioxide by 7.7 percent, nitrogen oxide by 6.8 percent and sulfur dioxide by 5.9 percent. The GE Energy Financial Services study—which found that a federal tax credit for wind farms more than pays for itself through tax revenues from the projects’ income, vendors’ profits and individual workers’ wages—can be found at http://www.geenergyfinancialservices.com/press_room/PTC_release.asp. The total local economic benefits to the communities of the three New York State wind farms—in addition to Noble Bellmont wind farm, which is not involved in this transaction—is estimated at $305.5 million, according to Noble. The Noble portfolio investment reinforces ecomagination, GE’s program to help its customers meet their environmental challenges while expanding the company’s own portfolio of cleaner energy products. GE Energy Financial Services’ 350 experts invest globally with a long-term view, backed by the best of GE’s technical know-how and financial strength, across the capital spectrum and the energy and water industries, to help their customers and GE grow. With $19 billion in assets, GE Energy Financial Services, based in Stamford, Connecticut, invests more than $5 billion annually in two of the world’s most capital-intensive industries, energy and water. In renewable energy, GE Energy Financial Services is growing its portfolio of more than $4 billion in assets in wind, solar, biomass, hydro and geothermal power. For more information, visit www.geenergyfinancialservices.com. GE (NYSE: GE - News) is Imagination at Work—a diversified technology, media and financial services company focused on solving some of the world’s toughest problems. With products and services ranging from aircraft engines, power generation, water processing and security technology to medical imaging, business and consumer financing, media content and advanced materials, GE serves customers in more than 100 countries and employs more than 300,000 people worldwide. For more information, visit www.ge.com. The map shows the three wind farms that GE Energy Financial Services is investing in with Noble Environmental Power. The three New York wind farms allowed the GE unit to surpass the $4 billion renewable energy investment mark. Photo depicts the first turbine during the assembly of Wethersfield wind farm. Wethersfield is one of the three that GE Energy Financial Services is investing in with Noble Environmental Power. Climate change worries, growing support from world governments, rising oil prices and ongoing energy security concerns combined to fuel another record-setting year of investment in the renewable energy and energy efficiency industries in 2007, according to an analysis issued Tuesday July 1 by the UN Environment Programme(UNEP). "The clean energy industry is maturing and its backers remain bullish. These findings should empower governments-both North and South-to reach a deep and meaningful new agreement by the crucial climate convention meeting in Copenhagen in late 2009," Achim Steiner, the head of UNEP, says. Over $148 billion in new funding entered the sustainable energy sector globally last year, up 60% from 2006, even as a credit crunch began to roil financial markets, according to the report, "Global Trends in Sustainable Energy Investment 2008," prepared by UK-based New Energy Finance for UNEP's Paris-based Sustainable Energy Finance Initiative. The picture since the end of 2007 has been somewhat subdued across the sector, with only mergers and acquisitions up as several substantial wind developers sold their portfolios-many realising that with the tightening up of the credit markets they could not finance the growth themselves-and the US ethanol industry undergoing restructuring.But in the second quarter of 2008 most areas of investment rebounded, even as global financial markets remained in turmoil. Sustainable energy venture capital and private equity in Q2 2008 was up 34% on Q2 2007, new build asset finance was up 8% and public market investment showing a strong recovery with the IPO of Portuguese utility EDP's renewable energy business, EDP Renovaveis. "Just as thousands were drawn to California and the Klondike in the late 1800s, the green energy gold rush is attracting legions of modern day prospectors in all parts of the globe,"says Mr Steiner, who is also a UN Under-Secretary General. "A century later, the key difference is that a higher proportion of those looking for riches today may find them. With world temperatures and fossil fuel prices climbing higher, it is increasingly obvious to the public and investors alike that the transition to a low-carbon society is both a global imperative and an inevitability. This is attracting an enormous inflow of capital, talent and technology. But it is only inevitable if creative market mechanisms and public policy continue to evolve to liberate rather than frustrate this clean energy dawn. "Investment in the sustainable energy sectors must continue to grow strongly if targets for greenhouse gas reductions and renewables and efficiency increases are to be met,"says the report. "Investment between now and 2030 is expected to reach $450 billion a year by 2012, rising to more than $600 billion a year from 2020. The sector's overall performance during 2007 and into 2008 sets it on track to achieve these levels." Says Michael Liebreich, CEO of New Energy Finance Ltd, a leading provider of research and analysis on the clean energy and carbon markets and co-author of the report: "2007 was a banner year for the clean energy industry. Wind continued its strong progress, with installed capacity passing the 100 GW mark. Solar is maturing rapidly, with heavy investment to ease the silicon bottleneck and new thin-film technology beginning to reach scale. And there are plenty of other technologies lining up to be the next ones to begin a real march to scale-including biomass and geothermal. Carbon Capture and Storage(CCS)is the only sector where we did not see as much progress as we had expected, with the regulatory and funding environments for these projects remaining murky and timelines for the first commercial projects being extended." Wind attracted more investment globally last year than any other non-fossil fuel based technology, including large hydro and nuclear power. In Europe and the US wind capacity additions in 2007 on their own accounted for 40% and 30%, respectively, of new power capacity. Iberenova, the wind power development arm of Spanish power giant Iberdrola, raised $7.2 billion in a landmark flotation in December 2007, the largest Spanish IPO ever and the fourth largest public deal of the year. Global installed wind capacity surpassed 100GW in March 2008. With US feedstock costs up and ethanol prices down, venture capital and private equity investment in biofuels fell by almost one-third in 2007, to $2.1 billion. However, biofuels investment has not dried up altogether, shifting to Brazil, India and China. Solar surged ahead in 2007, increasing its share of almost every investment category. Solar attracted by far the most venture capital and private equity investment ($3.7 billion), although biomass and waste to energy saw the fastest (432%) growth. During 2007 Chinese solar companies raised $2.5 billion on the US and Europe equity capital markets. Investment in energy efficiency technology reached a record $1.8 billion, an increase of 78% from 2006. North America attracted most energy efficiency investment during 2007, followed by Europe, despite the fact that its energy legislation lags behind Europe. Buildings offer by far the greatest energy saving potential (and represent the source of 40% of CO2 emissions). Industry and the transport efficiency follow, with the power sector (perhaps surprisingly) as the sector with the least scope for savings. According to the International Energy Agency, each $1 invested in energy efficiency an average avoids more than $2 needed to create new supply. The EU remained the leading region for investment, particularly later-stage financing. Supportive policies, as well as an investor base that is comfortable with financing renewable energy projects and more intense competition for deals, drove European asset finance to a record level of $49.5 billion in 2007. This was 62% of asset finance worldwide. In the USA acceptance of sustainable energy became more widespread, extending beyond its traditional heartland of California, with Texas leading the wind energy charge. A new administration in 2009 is expected to make renewable energy and energy efficiency a political priority while recent uncertainty in the US (particularly over the possible introduction of a CO2 regulations) has put a significant number of coal-fired generation plants on hold. The US financial sector is also gearing up for a major shift in political attitude. Citi, JPMorgan Chase and Morgan Stanley have jointly launched a set of "Carbon Principles", which will guide how they lend to and advise major power companies in the US. The banks developed the principles to evaluate risks in financing carbon-emitting projects, given the growing uncertainty around regional and national climate change policy. They will also consider power companies' inclusion of energy efficiency and renewable resources in their portfolios as part of an "enhanced diligence process". During 2007, investment in non-hydro renewables capacity in China increased by more than four times, to $10.8 billion, and new wind capacity doubled to 6 gigawatts. The report says the 2008 Beijing Olympic Games "sharpened the country's political resolve and strengthened programmes to promote cleaner generation and cut energy intensity." Besides a surge of Chinese solar companies listing on US and European stock markets, public market activity is also growing at home. Notably, the Chinese wind manufacturer Goldwind raised $243 million last year in the Shenzhen Stock Exchange's first IPO related solely to renewable energy. Brazil is the world's largest renewable energy market, thanks to its long established hydropower and bioethanol industries. Sustainable energy investment in Brazil continued to be dominated by ethanol in 2007, as investor interest shifted there from the beleaguered US ethanol market. Infinity Bio-Energy(listed on London AIM) and the US agribusiness giant Cargill both made important investments in the sector. Beyond ethanol production, investment in sugar cane cogeneration, biodiesel production and wind generation are also picking up. Asset financing in India grew significantly, to $2.5 billion, mostly for 1.7GW of new wind projects. These installations place India fourth in the world, both in terms of new capacity added in 2007 and total installed capacity. Funds raised on Indian stock exchanges reached $628 million in 2007, although companies increasingly looked to foreign markets for new capital, raising $1.4 billion overseas in 2007. Public market activity was marked by a series of Foreign Currency Convertible Bonds (FCCBs) from established Indian renewable energy companies such as Suzlon($500 million raised) and Moser Baer($150 million). The year 2007 also saw several aggressive cross-border deals involving Indian or Chinese acquirors, including Suzlon's $1.6 billion acquisition of Repower and China National Building Material Group's purchase of German turbine blade manufacturer NOI Rotortechnik. Africa continues to lag other regions in terms of sustainable energy investment. Asset finance, however, was up in 2007 to $1.3 billion (five times as much as in 2006), reversing a gradual decline since 2004 and bearing witness to increasing installed renewable capacity. Investment was mainly in biofuels and geothermal. Promising large-scale solar developments were also initiated in North Africa and some signs of change in South Africa, where targets for renewable energy have been set and the country's first wind farm commissioned. Sub-Saharan Africa, "arguably the region that has the most to gain from renewable energy," remains largely unexploited, according to the report. $13 billion had been invested in carbon funds by the end of 2007, an important source of investment for "Clean Development Mechanism" projects in developing countries. Most new investment was into private funds as carbon trading becomes more established. The first quarter of 2008 saw the emergence of private interest in the post-Kyoto market, with investors beginning procuring post-2012 CDM credits eligible for trading in the EU Emissions Trading Scheme. Investments not only grew in 2007, but broadened and diversified. Mainstream capital markets are now fully receptive to sustainable energy companies, according to the report. 2007 also saw greater activity in so-called "next generation technologies," such as cellulosic ethanol, thin-film solar technologies and energy efficiency. Early venture capital investment surged 112% to $2 billion in 2007, boosted by interest in emerging renewable technologies, rather than just those on the brink of commercialisation. "The willingness to look beyond mature technologies suggests that investors are taking renewable energy and energy efficiency increasingly seriously," the report says. General public investments, through stock and other markets, more than doubled in 2007 to $23.4 billion, up from $10.5 billion in 2006. The Wilderhill New Energy Global Innovation Index(NEX) rose 57.9% in 2007. It then fell 17.9% in first quarter of 2008 but recovered half this loss in the second quarter. Meanwhile, assets under management in clean energy funds rose to $35 billion in 2007. A record 17 new clean energy public equity fund launches occurred in 2007, up from just five in 2006. Several of these were 'climate change' funds launched by mainstream investment firms including HSBC, F&C, Schroders, Deutsche Asset Management and Virgin Money. The arrival of such heavyweights in the market is "likely to encourage the larger publicly listed companies they normally invest in to expand into sustainable energy and other low carbon sectors,"says the report. Research & Development spending on clean energy and energy efficiency was $16.9 billion in 2007, including corporate R&D of $9.8 billion, and government R&D of $7.1 billion. Europe and the Middle East saw the most corporate R&D activity, followed by the Americas and then Asia. Patterns of government R&D are the reverse, with Asian governments(notably Japan, China and India)investing relatively heavily in R&D. Corporate Mergers & Acquisition activity increased 52% to $25.7 billion in 2007. Says Mohamed El-Ashry, Chair of the Renewable Energy Global Policy Network REN21: "One reason for the steady growth of renewables is simple economics: while the cost of fossil fuel energy is rising, the costs of renewable energy technology are falling. And with renewables there are no fuel costs-and no carbon emissions." According to Yvo de Boer, Executive Secretary of the United Nations Framework Convention on Climate Change:"The positive trend in the renewable energy market is at least in part a business response to a policy expectation. If that expectation is not met, the conventional bottom-line will be the main driver for investment decisions. "According to the IEA, a massive amount of US $20 trillion is projected to be invested to meet the world's energy demand in 2030. If these investments are not made in a climate-friendly way, emissions of green house gases might go up by 50% in 2050, while science tells us they need to be cut by 50% in 2050. I hear businesses crying out for clear policy signals to make the right investment decisions today. Setting a long term target for 2050 is useful, but I think it would give investors much more clarity if rich countries would indicate where they want to be in 2020 or 2030." companies to its portfolio of global cleantech leaders. The changes are also reflected in funds based upon CTIUS, including the PowerShares Cleantech Portfolio ETF (Amex: PZD) and KSM Cleantech ETF (Bloomberg: KSMCLNT: IT) in Israel. 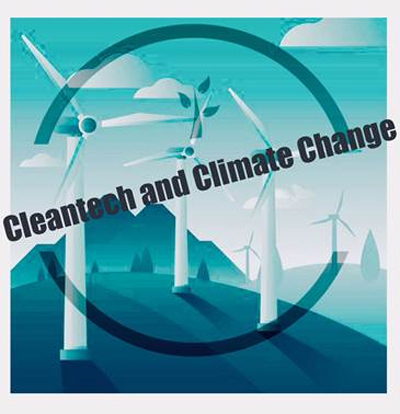 technology solutions in the face of resource and environmental challenges,” said Rafael Coven,Managing Director of Cleantech Indices for the Cleantech Group, LLC, and Index Advisor. the Cleantech Index includes leading companies from a broad range of sectors such as advanced materials, agriculture, transportation, manufacturing, in addition to energy efficiency, renewables and water. “The broad cleantech category has shown superior performance than more volatile and narrowly defined vertical or sector products,” said Coven. CTIUS is the industry gold standard upon which a growing range of financial products are based. In 2007, the Index outperformed the S&P 500 by 37.4 percent, over the last 12 months by 26.3 percent and in 2008 (through June 27) by 6.5 percent. Index. The expansion includes 24 European companies, six from Asia and four from North America. Index companies must derive at least half of their operating profits or revenues from clean technology businesses,and pass 16 other quantitative and qualitative screens. The ISE Global Wind Energy Index provides a benchmark for investors interested in tracking public companies that are active in the wind energy industry based on analysis of those companies’ products and services.